Growing, harvesting and processing sheep sorrel roots is very labor-intensive which makes our Essiac products more expensive than others. There is no herbal company or farm that sells sheep sorrel roots on the internet because it cannot be correctly harvested with farm equipment. Therefore, the roots must be hand-clipped from the tops to establish an exact percentage of roots. The picture below shows how we must first loosen the soil with a large, heavy broadfork in order to carefully lift the sheep sorrel roots from the soil. Next the roots are hand dug from the loosened soil and mulch. 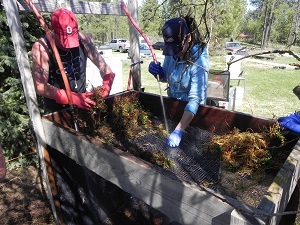 Sheep sorrel roots must be washed in cold, unchlorinated water to remove the mulch, soil and any extraneous roots. Then comes the very time-consuming process of clipping the tops from the roots which requires much patience. By hand clipping we are able to offer an exact percentage of sheep sorrel roots in our products. We were the first company on the planet to offer this very important service so that our customers know exactly what they are getting. 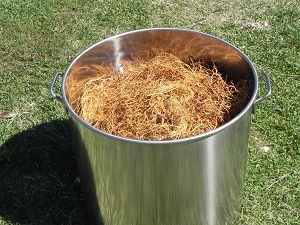 The trimmed roots are then briefly rinsed and then set out on screens out of direct sunlight for the initial drying. The sheep sorrel roots are now ready for the final drying. We do not use propane or catalytic driers. 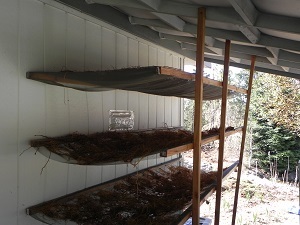 Only electric fans and low heat are used on the roots. 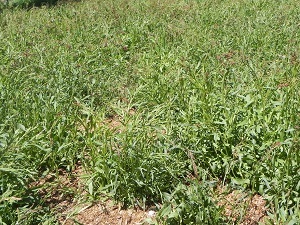 One of the problems with harvesting sheep sorrel roots is that it kills the whole plant. 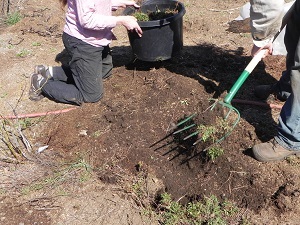 It has taken us three years to plant, grow and harvest just one crop of sheep sorrel roots. Three years growth is required to achieve enough potency or medicinal value. We grow our sheep sorrel roots on mineral-rich soil that has never been farmed. Sheep sorrel likes well-drained soil that is composed of gravel, sand and silt. Our soil here in north Idaho is a result of thousands of years of glacial flooding that has washed in many different types of rocks from the surrounding mountains. In addition to all the minerals already present in our soil we add certified organic humic shale which contains 75 different plant-based, colloidal minerals. We als o add certified organic kelp which is harvested from the pristine, mineral rich fjords of Iceland. This adds iodine and other sea-based minerals that may not be present in sufficient quantities in land-based farming. We have mulched the soil with a thick layer local fir wood chips for organic material that encourages beneficial fungi, (e.g. mycorrhizal fungi) that make it possible for plant roots to absorb the minerals. Modern farming methods do not replenish minerals (or mycorrhizal fungi) in the soil which are so important to the health of plants and the people who eat them. Without minerals plants cannot make vitamins and other life-giving substances. Modern farming practices and even in some cases even organic farming do not replenish the minerals in the soils. There is no requirement by the federal organic standards to provide all minerals in the soil necessary for optimum health. Therefore, we believe our sheep sorrel is superior to the government-dictated organic standards. We have watered our sheep sorrel with natural, mineral-rich water from a deep well that does not contain any additives such as chlorine or fluoride or other toxic substances. 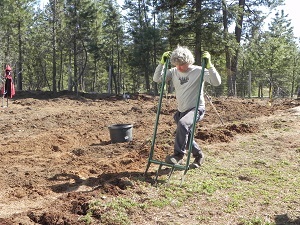 Add to all the materials, time and labor the ever-increasing cost of good land to grow organic herbs. In short, you get what you pay for and it doesn't get any better than this. Click here to read more about our Essiac Herb Quality. An unethical company could only add a pinch of powdered sheep sorrel roots to a pound of sheep sorrel leaf and legally say that the roots are included. Obviously, such an insignificant or small amount of root will have negligible effect health-wise. For more information on why Essiac tea with sheep sorrel roots is more expensive visit the Health Freedom Info website on this page. *Ginseng was plentiful in north America until it became more valuable than gold. Therefore, it was over-harvested and it is now very rare to find it growing wild in north America.